We all dread it, but the good news is if head lice is going around you don’t have to worry! I’ve put together this easy guide on how to treat the first signs of head lice. We’ve all been there. The kids come home with itchy heads, or complain that it feels like something is crawling on their scalp. Do not stress out. All this means is that it’s time to get your MOOV products out and be prepared to treat them for head lice! 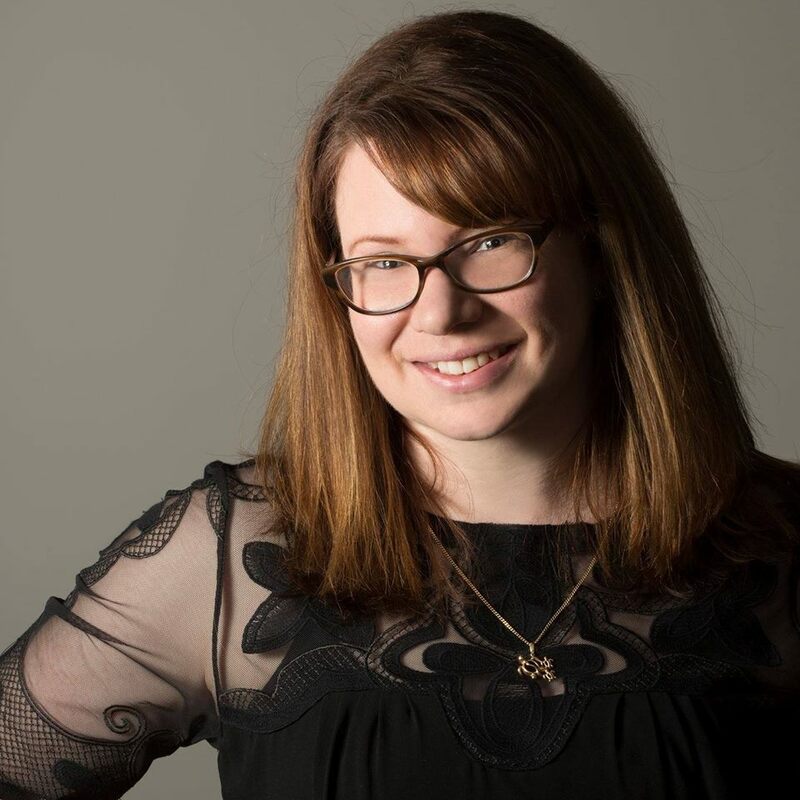 Before we go any further, have you read my helpful article with everything you need to know about head lice? Yes? Good. Continue. The first step is the inspection – you don’t want to unnecessarily treat for head lice, no matter how gentle the products are! 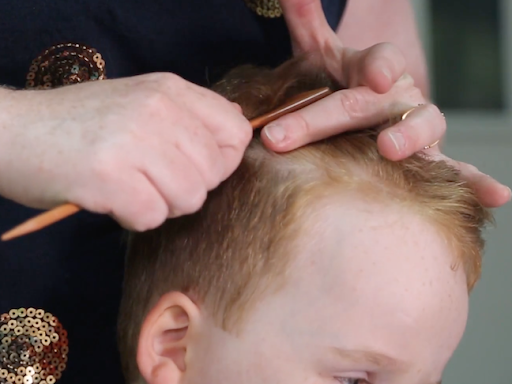 With a comb on dry hair, separate the hair and look for the tell tale signs of head lice. Either live lice crawling in the hair or eggs on hair strands. Found some? It’s time to get treating! It’s so important to treat them early at first detection and work to eradicate a head lice infestation by breaking their life cycle. The shampoo goes on dry hair. Start by sectioning the hair. Make sure you apply the product behind the ears and along the nape of the neck first. Then saturate the entire head of hair, being sure to work the product right into the scalp. Pop the shower cap over the hair and make sure it covers the ears and the nape of the neck. Have fun for 15 minutes while the MOOV products kill the head lice. Rinse out and condition as normal. Wash out the cap with soap and warm water as it can be reused. Repeat the same process 7 and 14 days later to break the life cycle and eradicate all head lice! 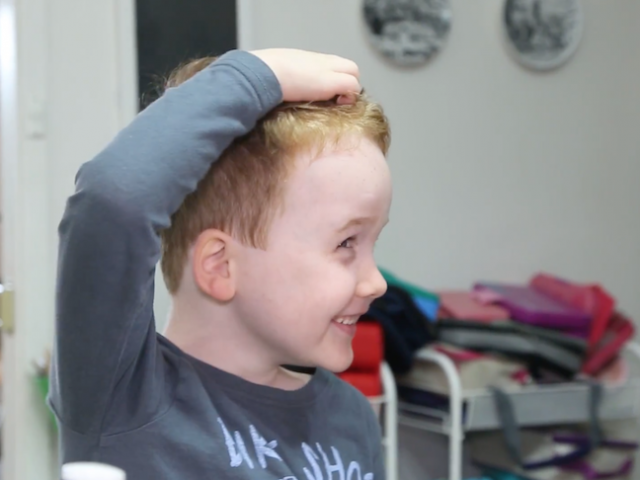 If you’re worried about sensitivity, try MOOV Head Lice Sensitive, designed for those of us with sensitive scalps. And don’t forget: Treat yourself too! If someone in the house has head lice, there’s a chance other family members will too. Make sure to do a thorough check of everyone in the household and treat as needed. And the most important thing: The key to effectively treating head lice is to be consistent in applying the treatments three times over a 2 week period, that way you are breaking the head lice life cycle. Be sure to watch the video to see how we do it! 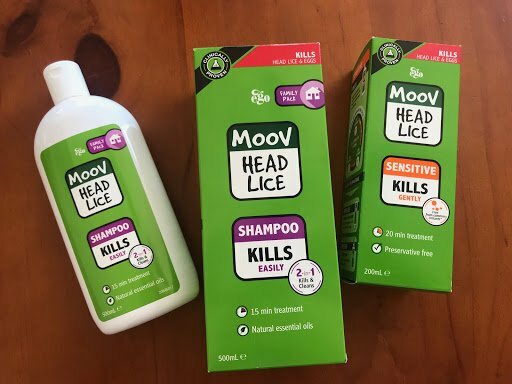 The MOOV Head Lice Range is available in most pharmacies. Head to www.moov.com.au for more information.